MOM RULE #28 ANYONE WHO TELLS YOU TO SLEEP WHEN THE BABE SLE - ProudMummy.com the Web's Community for Mums. 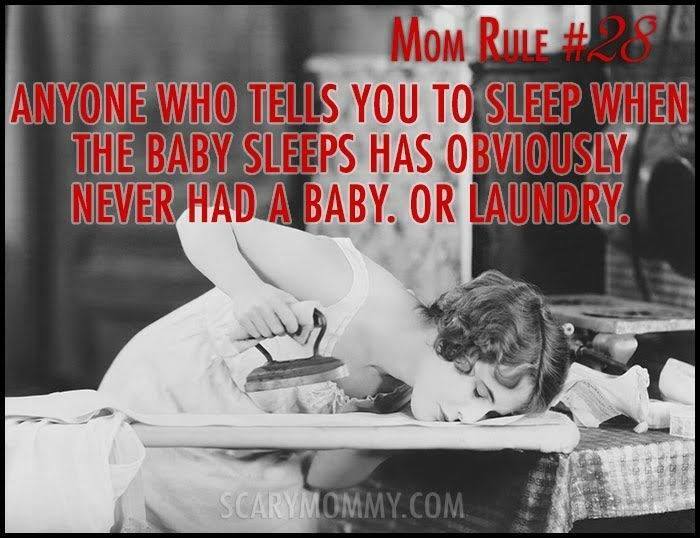 MOM RULE #28 ANYONE WHO TELLS YOU TO SLEEP WHEN THE BABE SLEEPS HAS OBVIOUSLY NEVER HAD A BABY. OR LAUNDRY.